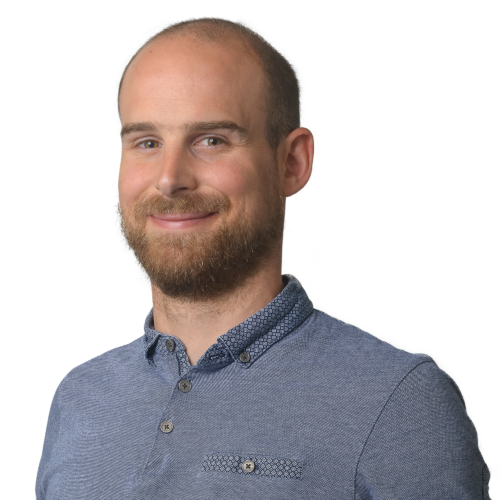 Pierre's strengths and expertise lie in his vast professional experience: he masters both hardware and software aspects, which enables him to carry out any type of digital project. On a daily basis, he likes to discover new technologies and web trends. Pierre is active in a handball team where he wears the captain's armband. You'll also find him windsurfing on a lake when the weather conditions allow it. Creation of Apptitude at EPFL with Axel and Raphaël. Obtaining the MIAGE Master (Computer Methods Applied to Business Management) in Grenoble. Three years as a network technician in a service company specializing in networks.